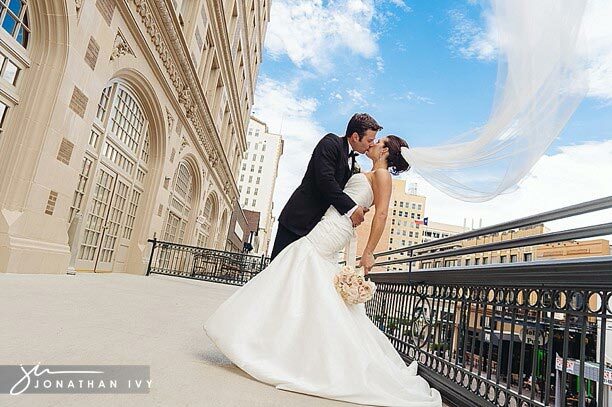 Oh how we adore weddings at the Crystal Ballroom in Houston. It is such a beautiful ballroom located in the historic Rice Hotel. We had the opportunity to visit a new church for this wedding, St. Theresa’s Catholic Church also located in Houston. We had many many many gorgeous photos from this wedding however chose a select few favorites to share with you all today. Enjoy Courtney & Brandon’s beautiful Houston wedding. I think the above is my, Samantha, favorite image and the image below is Jonathan’s favorite. It was so hard to choose!